Hornby Train Packs Toy Shop at WWSM. 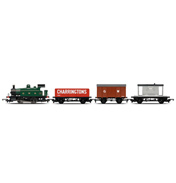 The steadily growing range of Hornby Train packs reflects as closely as possible in model form or parts of the original prototype train. Hornby, a household name and is famous as the brand leader of model railways in the UK. 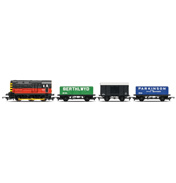 The gradually growing range of Hornby train packs reflects where possible in model form part or parts of the original prototype train. Great endeavours are taken to ensure that the selected Locomotive and coaches have the correct liveries and numbers in keeping with the period modelled. In the same vein the Great British train packs are produced to recreate as close as possible their full size counterparts. 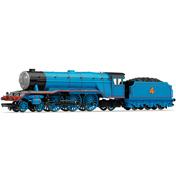 We have a wide variety of Train packs here at the World Wide Shopping Mall toyshop. Some of which are very common engines that probably see day to day on the British lines such as the Northern Rail Class 156 (R2694) and Virgin HST (R2704). 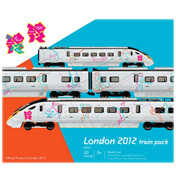 Our favourite though has got to be the London 2012 Express Train Pack (R2961), as it’s finished in a fabulous livery to celebrate the Olympic Games return to England.